Both Namecheap VPN and Speedify are good VPN solutions, but which one of them is slightly better? That is what this Namecheap VPN VS Speedify comparison allows you to find out. See how these two VPNs compare to one another, view all of their key features side by side, and discover which one of them is more highly recommended by our experts. 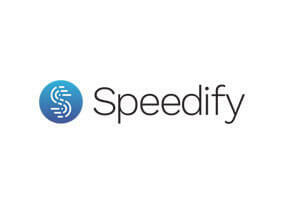 Speedify was launched by Connectify Inc. as a speed-boosting service and later received encryption protocols and started advertising as a VPN provider. It offers a perfect symbiosis between online security and seamless connectivity. by far the fastest VPN i've used. haven't been able to go back to anything else ever since. unlimited is the way to go. Love it, I bond 4 wifi connections in my terrible hotel and get actual usable home speeds! I don’t really understand how it works, but I like that it’s fast and I get 1 free GB every month, which is more than enough for me. Awesome speeds, bad support, virtually no features. Speedify is a mix of Internet speed boosting and a VPN. It allows you to enjoy VPN protection minus the usual speed drops. Learn all about it in our detailed review and Speedify reviews written by its users.